I took 2 of those recently. Let’s just assume for common sense’s sake that I didn’t run this week. 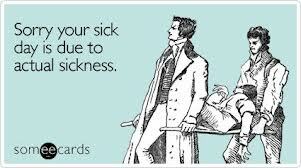 That would be an appropriate response to being very sick with upper respiratory/sinus/kidney infections. But we all know that common sense and running do not mix well with me. yay me! That was all I had in me to do. Maybe next week will be better!